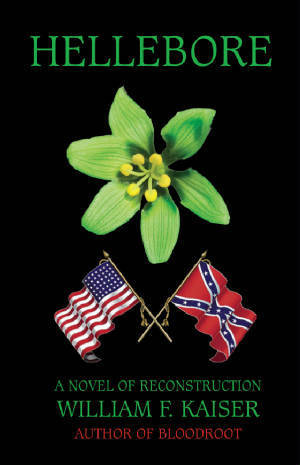 Hellebore is the story of the feud'n, fight'n and fuss'n that tore up the people of Appalachia after the American Civil War. Beset by bushwhackers, carpetbaggers and scalawags, the Truehill family - Billy Jack, and Elvira May - are tempted, tormented and torn by the historic events of the post-war occupation of the Southern States by Union Army troops. Mountain men who served in either the Confederate army or the Union army and survived the war return home to continue the war - the beginning of famed family feuds that still echo today in the remote corners of the mountains. The events in this novel, including the incursion of the Ku Klux Klan into western North Carolina are real, as are some of the historic characters. Other characters, protagonists and antagonists, including Billy Jack and Elvira May are based upon real people of the times.